City starting line up unchanged but Jones included on bench. I did ask on the other thread but are we playing 5 at the back? I have heard Miles is not playing who has relaced him ? Marc Monitor wrote: I did ask on the other thread but are we playing 5 at the back? 2-1 up come on City. From 1 down at ht through a Southwood fumble City lead 2-1 through Morgan and L/ Evans. Luton Roman wrote: From 1 down at ht through a Southwood fumble City lead 2-1 through Morgan and L/ Evans. What have they got against our home supporters? Would have been disappointed had Marvin not scored against Haven't a Clueville, so top marks to the big man. Also looks like Connor LH is starting to be much more influential. I love the fact that we are now above Chipnumb in the table. Delicious irony. BenE wrote: Rigg at right back. Rigg started Tuesday, Jones replaced Welch-Hayes on the bench. Anyway, great to hear about another win whilst I was attending the only goalless draw in the top six divisions today. So when was the last back to back away wins from a goal down/ behind? Luton Roman wrote: So when was the last back to back away wins from a goal down/ behind? That'll keep me busy this evening. Ha ha, I was going to say 'don't do that to Mark, that's his whole weekend gone"
In all competitions it was 2005 - Gosport in the FA Cup (won 4-3, we were 1-0 and 2-1 down) and Rugby Town in the league a week later (won 2-1, we were 1-0 down). 2004/05 - Hemel Hempstead on 11th December 2004 (won 3-1, Partridge hat-trick) and Team Bath at Twerton Park on New Year's Day (won 4-1, trailed 1-0 at half-time). 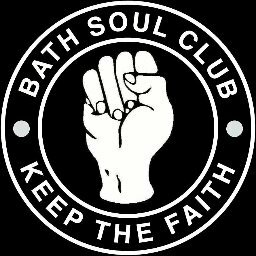 Are you Bath City Geek on Twitter?? I would have replied sooner but it took me nearly three hours to get home from Ashton Gate having watched the only goalless draw in the top six divisions in England today. Love this from their forum......"3 words can sum up how bad our start to the second half was. Marvin Morgan scored"
kermit wrote: Love this from their forum......"3 words can sum up how bad our start to the second half was. Marvin Morgan scored"
the demon headmaster wrote: I love the fact that we are now above Chipnumb in the table. Bloody hell, you try and do something nice. Has any other opposition taken this view? I think it is a fine gesture and this sort of bitterness only makes me think it should definitely be permanent. I was entertained by Andrew Kerslake's embroidery last Saturday . March 2000 - Salisbury (won 3-1) and Rothwell a week later (won 3-2, we were behind twice). Next it'll be "what about against teams still in existence?" I haven't/Havant looked at their forum before. I was told I'd have to pay to take photos pitchside one year (maybe yuffie as well) because I made some comments about their pitch being poor. Some of the officials I speak to there are fine, and I've never had a problem with the fans I've encountered. But there seems to be some weird bitterness from them towards others which I don't get, others have said the same. I admire the fact that they probably made a lot of money from their cup run and didn't decide to do a Billericay, I've always imagined them to be quite sensible with money. The ground is very tidy (if a little bland) and the clubhouse pleasant. Just not sure where some of this anger comes from. I think I started thanking away fans in 2012 or so, which means I would have done it to Havant fans a couple of times before the 5-0 battering. It isn't meant to be patronising, and the only times I haven't done it is when I think it could spark a negative reaction, i.e. a local side.